Vektanova - FACT: Before he died, Valentine of Rome left a farewell note for a girl whose father imprisoned him, signed "From Your Valentine"
Celebrity Facts Facts History Facts The Circle FACT: Before he died, Valentine of Rome left a farewell note for a girl whose father imprisoned him, signed "From Your Valentine"
FACT: Before he died, Valentine of Rome left a farewell note for a girl whose father imprisoned him, signed "From Your Valentine"
Even before he died, Saint Valentine showed love to a girl who he had fallen in love with, and whose father had imprisoned him before. 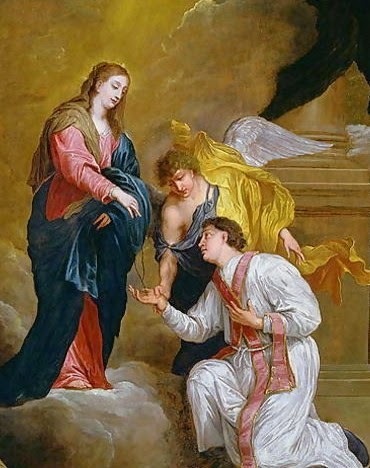 He wrote a farewell letter and it says at the end, "From Your Valentine," which makes a Valentine's Day every 14th February after being recognised as a saint by the Roman Catholic Church in the Roman Martyrology. Title : FACT: Before he died, Valentine of Rome left a farewell note for a girl whose father imprisoned him, signed "From Your Valentine"
No response yet to "FACT: Before he died, Valentine of Rome left a farewell note for a girl whose father imprisoned him, signed "From Your Valentine""